The institutions of marriage and family are under fierce attack from the enemy in this present age. It has always been under attack but now it’s more intense than ever. Perhaps it is a sign of the times that are described in the Bible. From the very beginning of time it has always been God’s plan to establish relationship with mankind through the family structure. When He created Adam and Eve this is what He had in mind. One of the instructions He gave them is to multiply and replenish the earth, and dominate it. What a beautiful time it must have been in the Garden of Eden when man received that instruction until the enemy deceived him to frustrate God’s glorious plan. Relationship problems are hardly a rarity that have resulted in divorce, broken homes, cross gender issues, children growing up with self esteem problems and more. You may or may not be in a relationship or marriage but I believe that we are all affected in one way or another. Satan’s job has always been to steal to kill and destroy and distorting the image of what marriage really is. Most marriage vows made between couples are just meaningless or not taken with the seriousness that they deserve. The good news is that Jesus came to restore you to the perfect image of God in every area of your life. 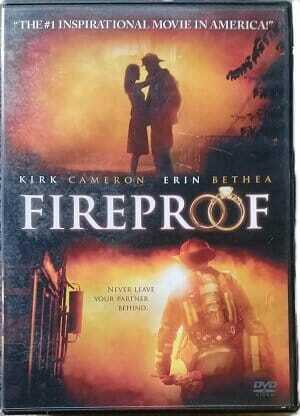 Fireproof may be one of the best movie reviews I get to share with you. This movie tells the story of a young couple, Caleb and Catherine that are on the verge of a divorce after a number of years of marriage. Caleb seems so absorbed in his career as a fireman and selfish ambitions that he neglects to take good care of Catherine. Catherine on the other hand spends a lot of time at her job as well and puts herself in a position of compromise in the midst of their marital problems. Their marriage seems headed towards divorce as they hit a point of no return. That is until Caleb’s dad intercepts and takes his son Caleb through a journey that could transform their marriage. Do you find yourself in a similar position today? A lot of relationship questions may be running through your mind to which you have no answer to. The answers to those questions are found in the Word of God. 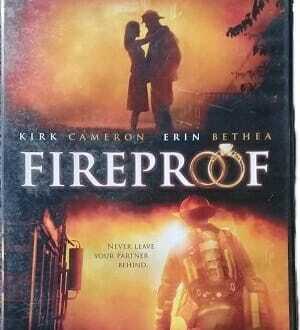 A relationship or marriage centred on God will survive any fire or storm that comes its way. Whether or not you are in a relationship or married this is a movie that I highly recommend because it will change your life. Healthy relationships are still possible in this crazy world that we live in today even though the enemy has lied to us to cause to think otherwise. Remember his main objective is to steal, kill and destroy but Jesus came to give you life in abundance. Definitely share this post with your friends and share your feedback if you have watched the movie or after you watch it in the comments below.